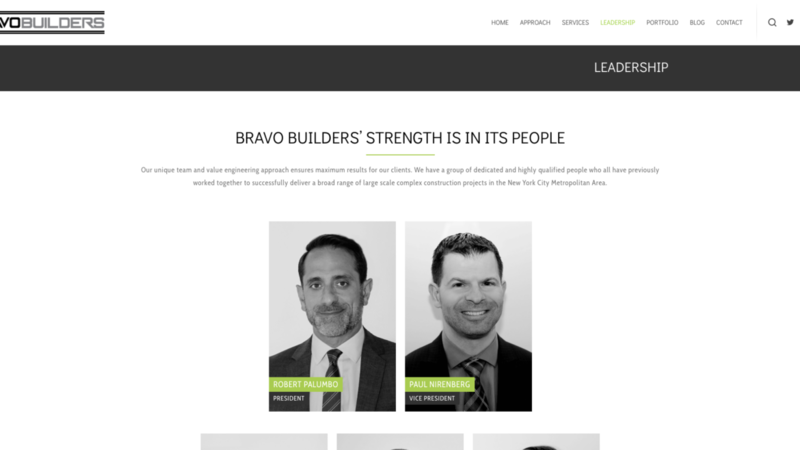 Bravo Builders offers a full range of construction services for a one-stop-shop, all-inclusive approach to construction. 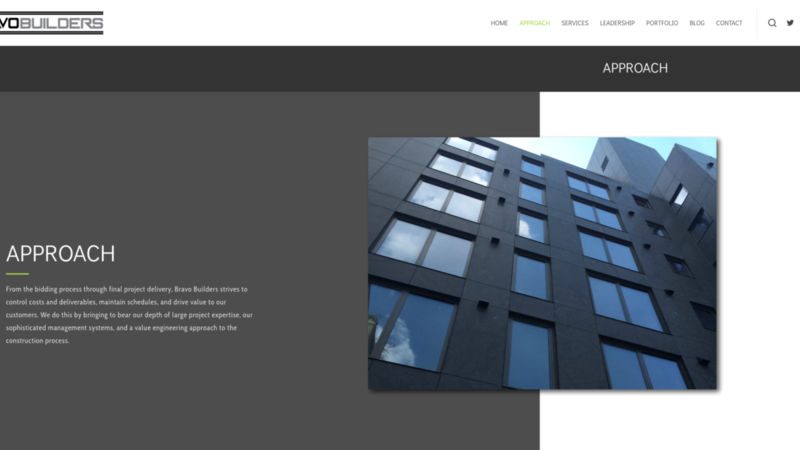 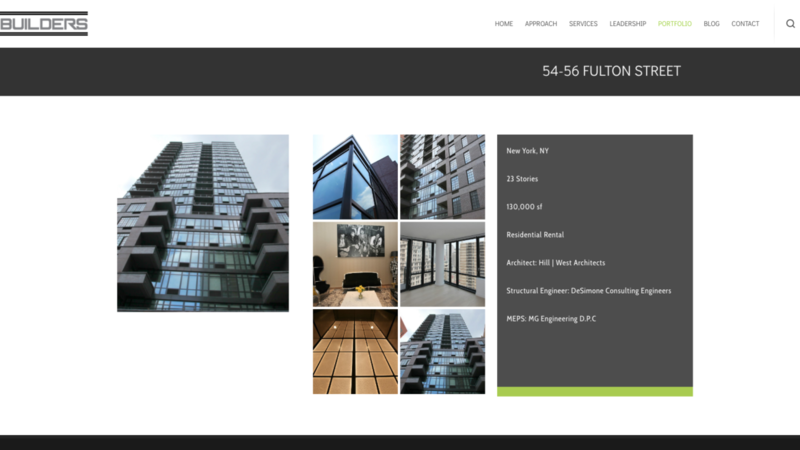 Their team is equipped to handle projects of a variety of sizes, through expert planning and management, all delivered through their value-engineering approach..
Bravo Builders is a NYC based construction company that needed to redesign their website to showcase their portfolio. 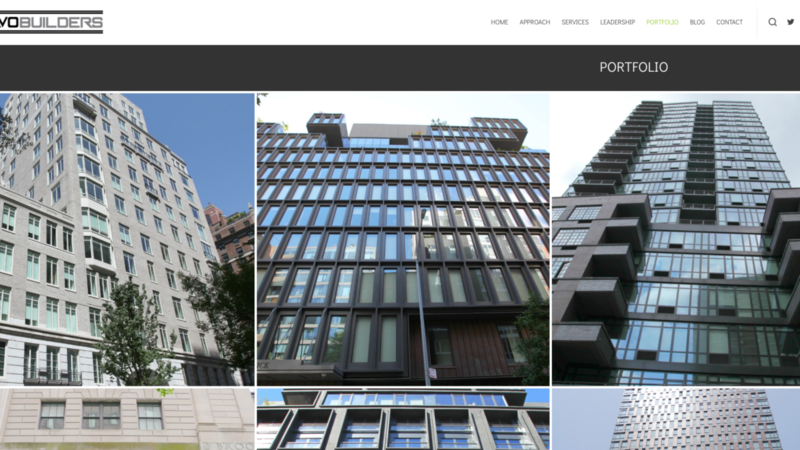 They also hired us for photography services: team headshots and building photos.